Catechins are bioflavanoids, polyphenols and powerful anti-oxidants, which are linked to growing evidence of fighting tumors as well as enhancing the immune system. Green tea is an excellent source of catechins. 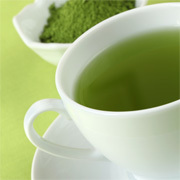 Catechin Enriched Green Tea powder is soluble in hot or cold water with light stirring. Its robust taste may be lightened by adding additional water. Catechin Enriched Green Tea powder is packed in a resealable foil package that makes it ideal for use at home, work or on-the-go. 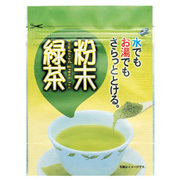 Ingredients: Shizuoka green tea, Japanese green tea and catechin extract. Instructions: Add one gram to 100 ml of water and stir. A measuring spoon is included. Please Note: Catechin Enriched Green Tea powder is soluble in hot or cold water with light stirring, but does not dissolve completely. You may notice a small amount of undissolved powder at the bottom of your cup. If so, add more water and stir once more.